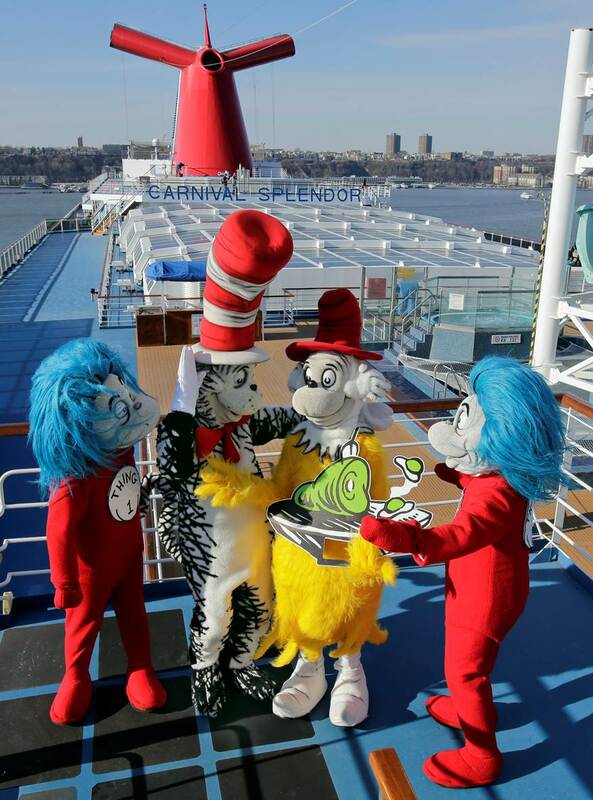 Yesterday during a media reception aboard the Carnival Splendor in New York, Carnival Cruise Lines announced an exclusive partnership with Dr. Seuss Enterprises to create the new Carnival Seuss at Sea program which will bring the beloved children’s brand and favorite characters to the line’s 24-ship fleet. 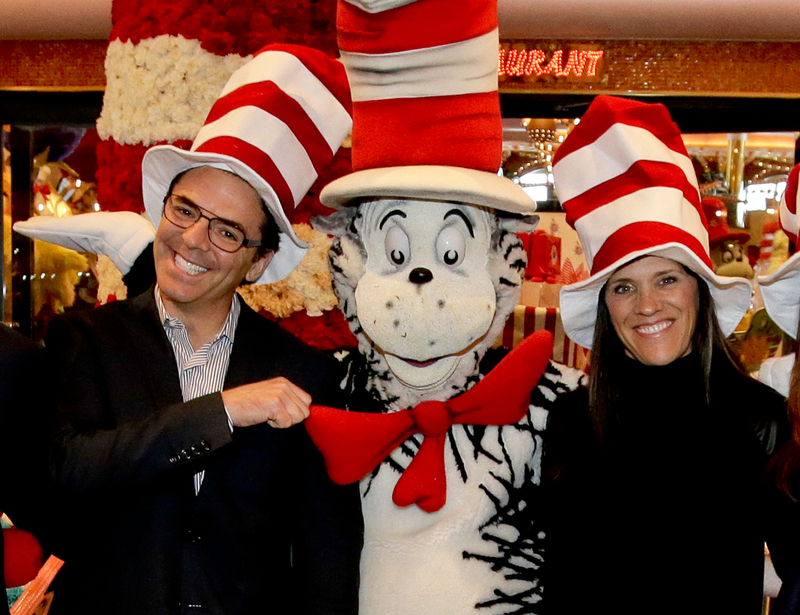 A new video showcasing the many fun and whimsical elements of the program, including the Green Eggs and Ham Breakfast with the Cat in the Hat and Friends, as well as interviews with executives from Carnival and Dr. Seuss Enterprises and appearances by Dr. Seuss characters, can be viewed here. Carnival Seuss at Sea also includes special showings of popular Seuss movies on the poolside LED screens, and, on select ships, the new Dr. Seuss Bookville facility — a unique and dedicated Seuss-themed play space featuring iconic décor, colors, shapes and funky furniture inspired by the whimsical world of Dr. Seuss. Other components include an interactive reading event called Seuss-a-palooza Story Time, A Rhyming Good Time, a Seuss-a-palooza Character Parade and more. 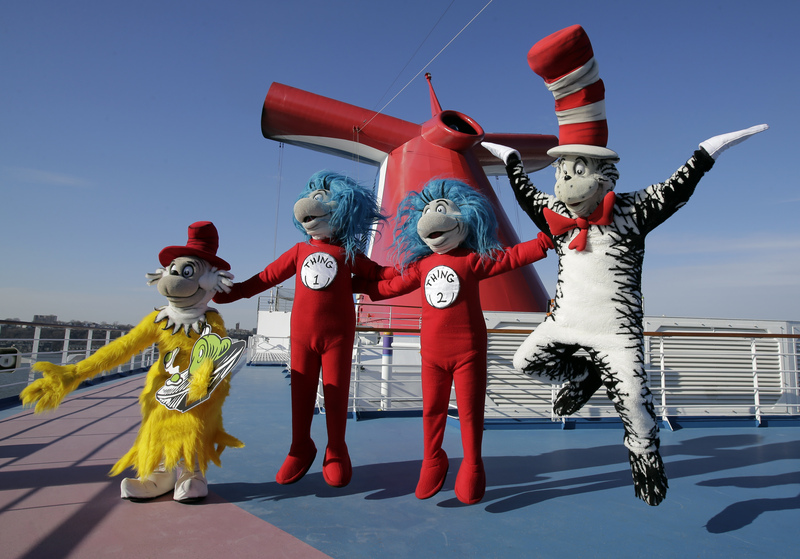 Seuss at Sea will begin rolling out aboard Carnival Splendor in March 2014 with implementation across the full fleet by 2015, as well as the new Carnival Vista when that ship enters service in early 2016.